BASKETBALL SPOTLIGHT NEWS: Word On The Street: Spring Fever! A lot of things are going on around the AAU world right now. So we decided to hit a couple of our sources and bring you another “Word On The Street”. Remember most of this information is not concrete as of yet but mostly from the rumor mill. Swain and Samuels Head To Expressions! Yes as many of you have heard, Azar Swain and Jermaine Samuels have left the “Money Team” to join Boston squad Expressions. Both players say the distance was too much to continue with the Connecticut crew. Both players also sat out the recent AC Showcase because they felt it would be disrespectful to their former coach and teammates. This move makes things very interesting in the New England Region heading into the AAU Nationals. Playtime 7th Grade Joins IZOD? The rumor mill has it that Playtime’s talented bunch will be heading over to join Team IZOD/Sports U. So not only will Sports U have the talented Supreme Team, it now seems they will be adding the second best 7th Grade squad in NJ. The teams now will carry the names IZOD/Black and IZOD/Red. Stay tuned as this story develops and we will keep you posted. 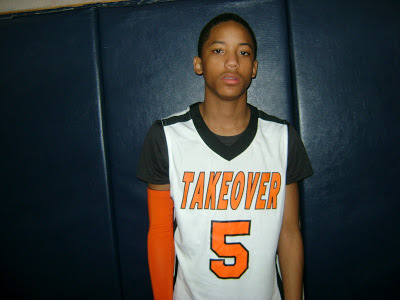 In a surprising move my sources out of the Potomac Valley area tells us that Team Takeover stud wing DJ Mitchell is now rocking with DC Assault. 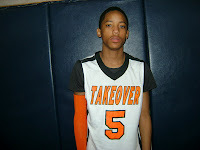 Mitchell has been a main clog with Team Takeover for years and appeared to be the go to man on this squad. Wow, we will definitely keep you guys posted on this story as more news comes out.